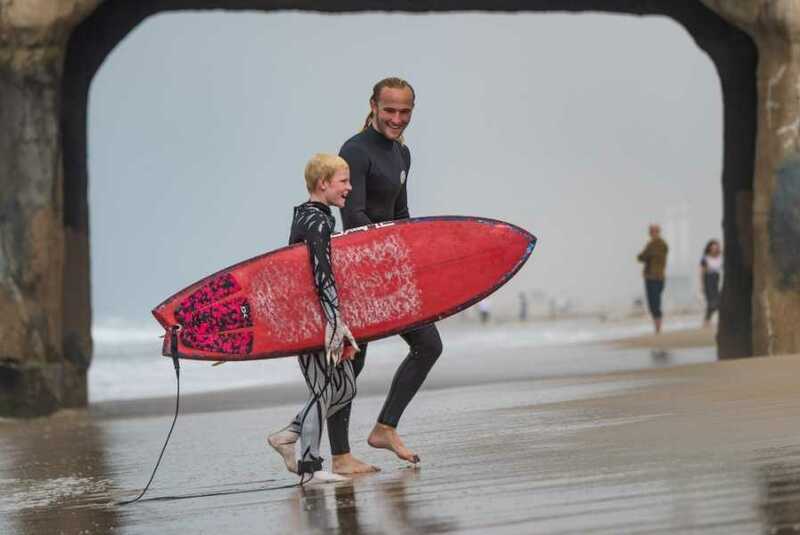 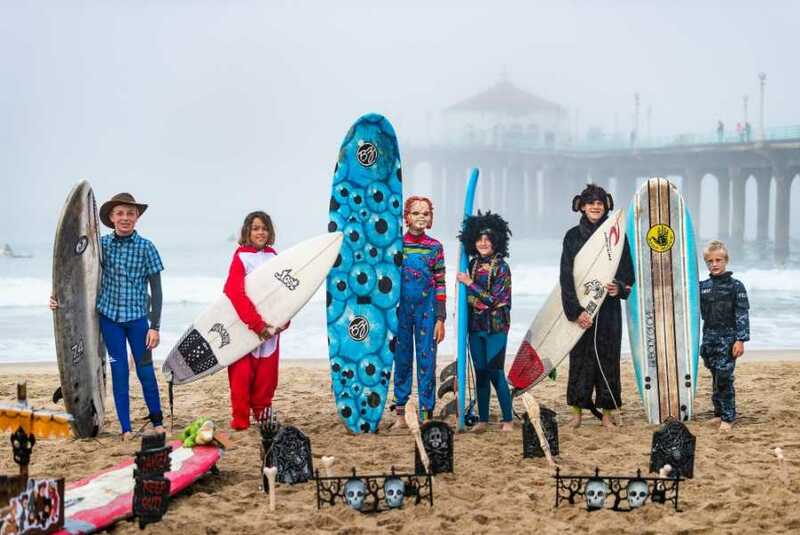 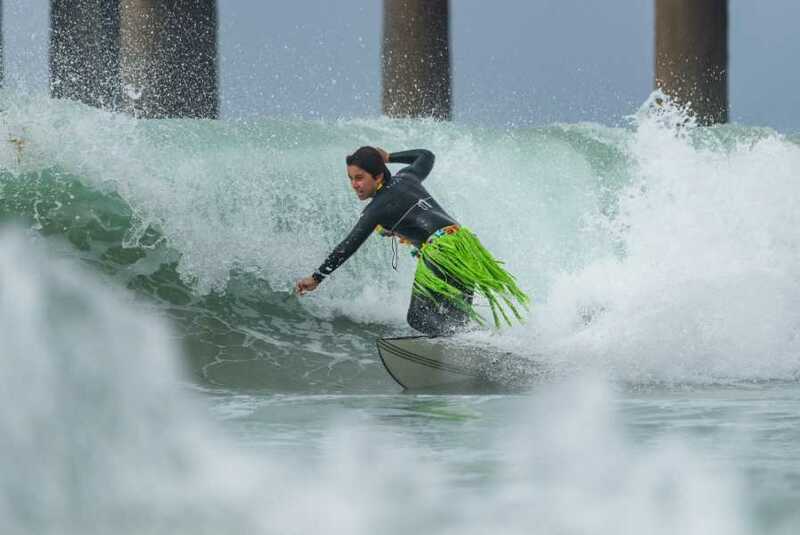 Thick fog and scary surf provided ideal conditions for the annual Spyder Surf Scar N’ Tear contest at the Manhattan Beach pier on the weekend before Halloween. 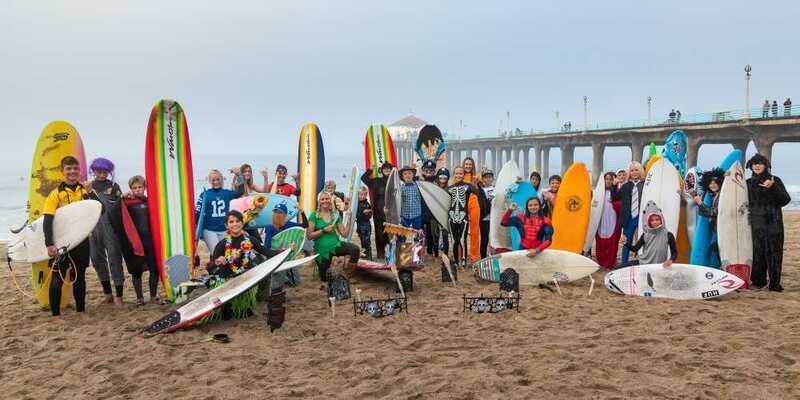 Over 50 rippers and ghouls participated in the contest, founded in 2005 by Charlie Ninegar to honor Mira Costa High schoolmate Adam Frand, who died from cardiac arrest. 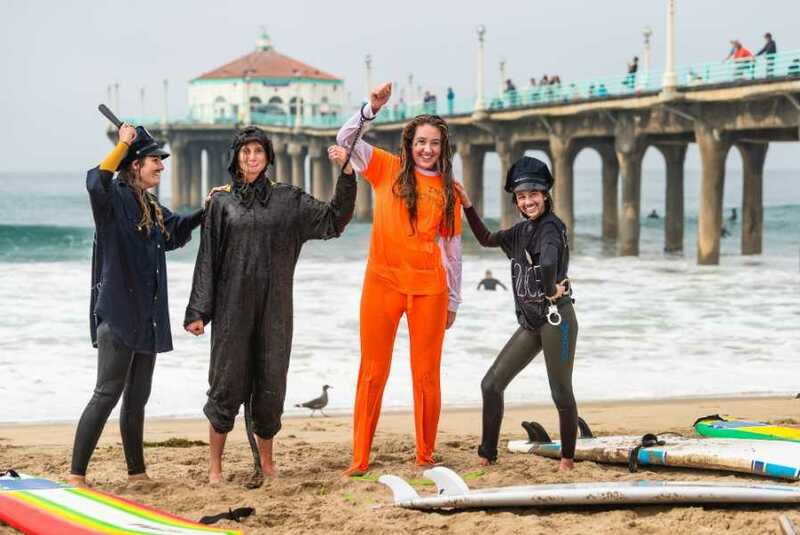 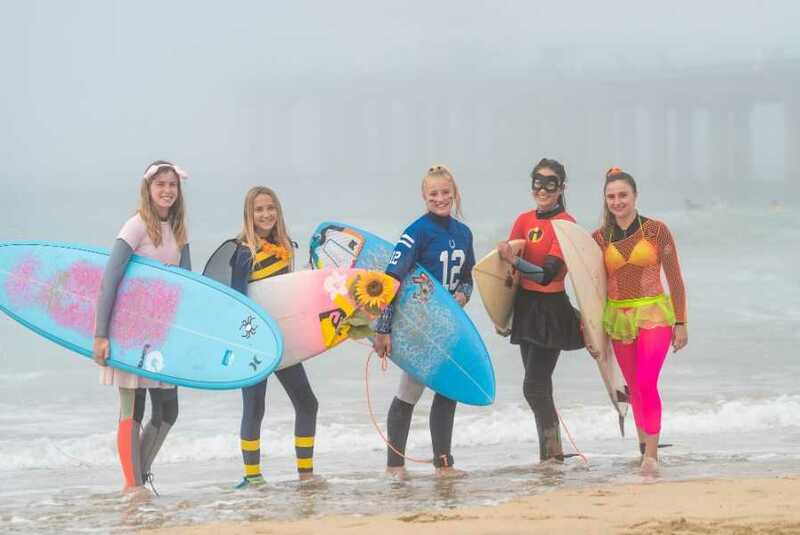 Spyder Surf has continued the contest, which awards point for costumes and performance. 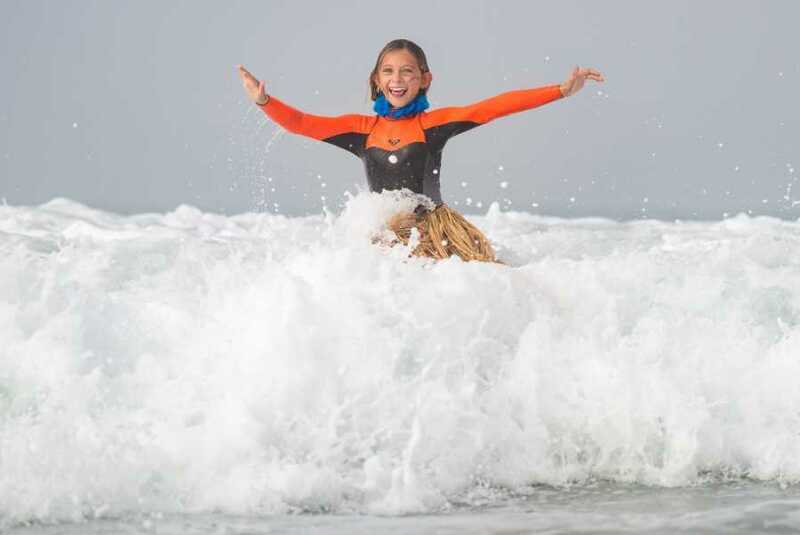 Proceeds go to providing defibrillators in schools and other public places.